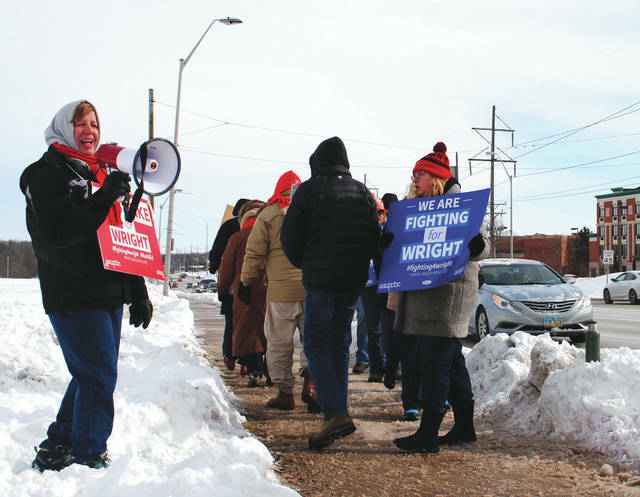 https://www.xeniagazette.com/wp-content/uploads/sites/32/2019/01/web1_aaupstrike1.jpgWhitney Vickers | Greene County News Members of the American Association of University Professors – Wright State University Chapter, as well as some students and graduates formed a picket line Jan. 22 on the sidewalks leading up the Dayton campus in protest of the university’s contract terms for faculty members. https://www.xeniagazette.com/wp-content/uploads/sites/32/2019/01/web1_aaupstrike2.jpgWright State University officials said students should continue to attend their classes in accordance with their regular schedule and assignments as directed. If a change to their schedule occurs, students will receive an email to their wright.edu address. 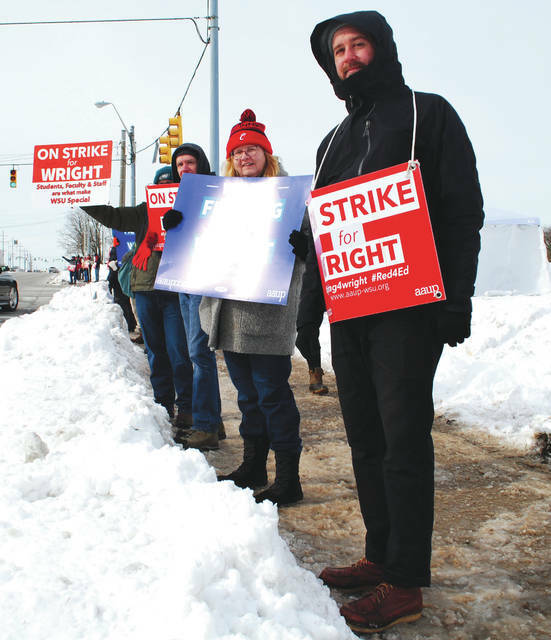 https://www.xeniagazette.com/wp-content/uploads/sites/32/2019/01/web1_aaupstrike3.jpgWhitney Vickers | Greene County News Members of the American Association of University Professors – Wright State University Chapter, as well as some students and graduates formed a picket line Jan. 22 on the sidewalks leading up the Dayton campus in protest of the university’s contract terms for faculty members. 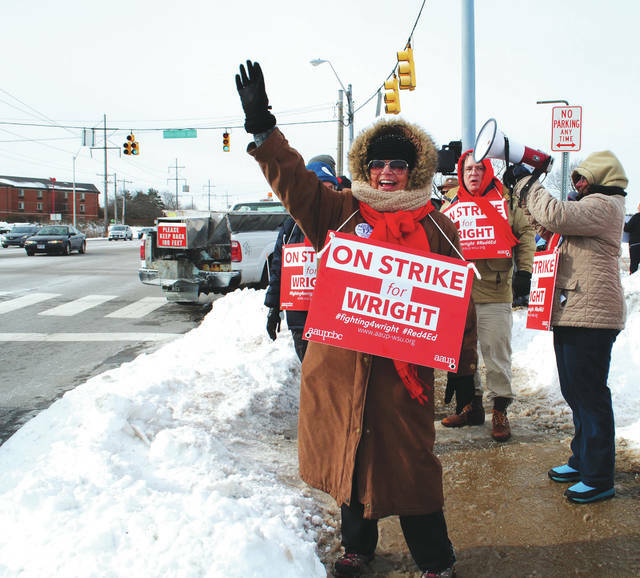 https://www.xeniagazette.com/wp-content/uploads/sites/32/2019/01/web1_aaupstrike5.jpgWright State University officials said students should continue to attend their classes in accordance with their regular schedule and assignments as directed. If a change to their schedule occurs, students will receive an email to their wright.edu address.